Extensive diarrhea could be a sign of a very serious bacterial infection commonly referred to as C. diff. It can be spread through the air, water, food products, and through infected feces. C. diff can live on dry surfaces for long periods of time. People can also get c. diff easily if they are taking a regular course of antibiotics. 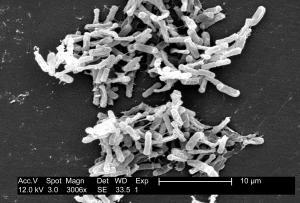 Clostridium Difficile (C. diff) is a bacteria found in the natural environment and in some food products. Some people naturally have the bacteria within their large intestine but never show signs of infection. It often lives on dry surfaces and is transferred when people come into contact with the bacteria and do not wash their hands. C. diff can contaminate the lining of the intestine. This causes severe illness in which C. diff symptoms such as diarrhea, fever, lack of appetite, nausea and belly pain are present. In the worst cases, C. diff infection can be fatal. C. diff is typically transferred via infected feces. The transferred C. diff bacteria can continue to live on and contaminate a surface for several days to several months, during which time any person coming into contact with the surface is susceptible to the bacteria. C. diff is more likely to flourish in people who have recently taken an antibiotic, especially a broad-spectrum antibiotic. Broad-spectrum antibiotics are prescribed to fight off illness-causing bacteria, but they also kill good bacteria that work to keep C. diff in check, allowing for its uncontrolled overgrowth. For most patients, a doctor-prescribed antibiotic treatment or therapy specific to fighting C. diff can clear away the infection. In more extreme cases, surgery to remove the part of the intestine infected by C. diff may be required. Taking probiotics (which produce good bacteria) and drinking lots of water are two key habits to adopt for a quicker and more complete recovery. Don’t rely solely on alcohol-based hand sanitizers. Clean bathroom and kitchen surfaces regularly with a chlorine bleach-based cleaner. Wash soiled clothing with a chlorine bleach based product. Don’t take antibiotics unless prescribed by a doctor. The symptoms of C. diff can be quite similar to other serious health issues. 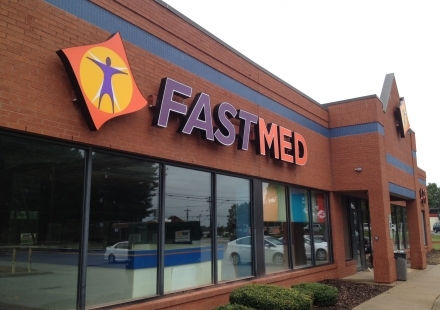 For a definitive diagnosis and answers to all of your health questions, stop in to see one of the healthcare professionals at FastMed. Open 7 days a week, we’re here to help you quickly figure out how you may have gotten C. diff and what to do to get you feeling better!